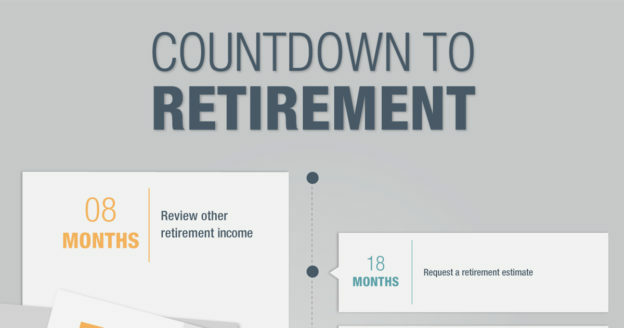 This year’s National Retirement Security Week runs from October 16 through 22. It’s a good time to reflect on your personal financial goals and see if you’re on target to meet them. 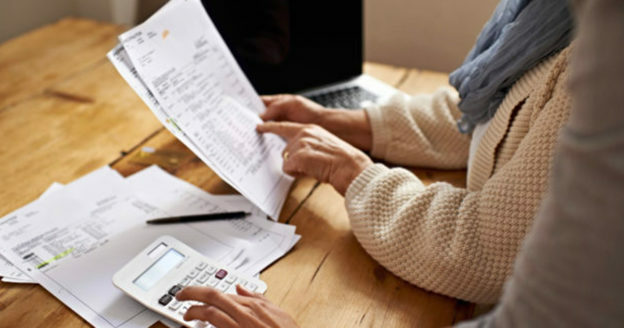 You can ask yourself questions like, “Will I have enough income when I’m retired?” If the answer isn’t clear, you can start taking steps to improve your retirement security. Think of your future retirement as a three-legged stool. Each leg represents a different income source that can support you in retirement. The first leg of the stool is your NYSLRS defined benefit pension. Your NYSLRS pension will provide you with a monthly benefit for life based on your service credit and final average salary. The second leg on the stool is your Social Security benefit. 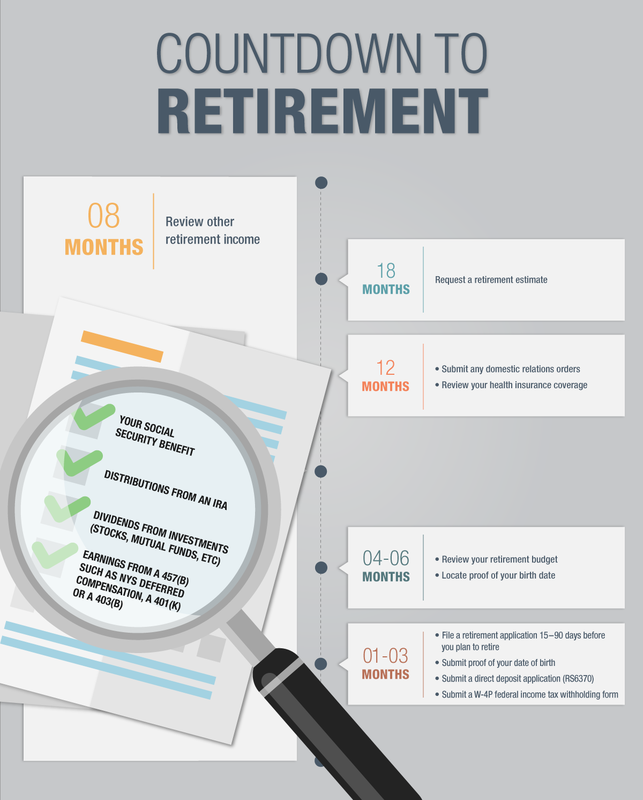 Your Social Security benefit is based on how much you earned during your working career. For more details about your Social Security benefit, please visit the Social Security Administration’s website. The third leg is your own personal savings, such as your own bank or investment accounts. Your personal savings can bridge the gap between what your NYSLRS pension and Social Security will provide. All together, these three legs can support you over the course of your retirement. Try payroll deductions to a credit union or savings account. Consult a financial representative and start investing. Open up a Deferred Compensation Plan account, such as the New York State Deferred Compensation Plan. Open an individual retirement account (IRA). Also consider looking into accounts that use compound interest. When your money is compounded, it increases in value by earning interest on both the principal and accumulated interest. That way, the more time your money has to grow, the better off you’ll be. 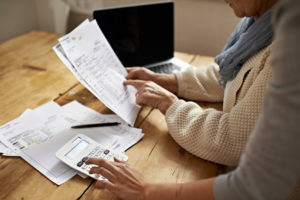 Remember, retirement security just doesn’t happen – it takes planning. 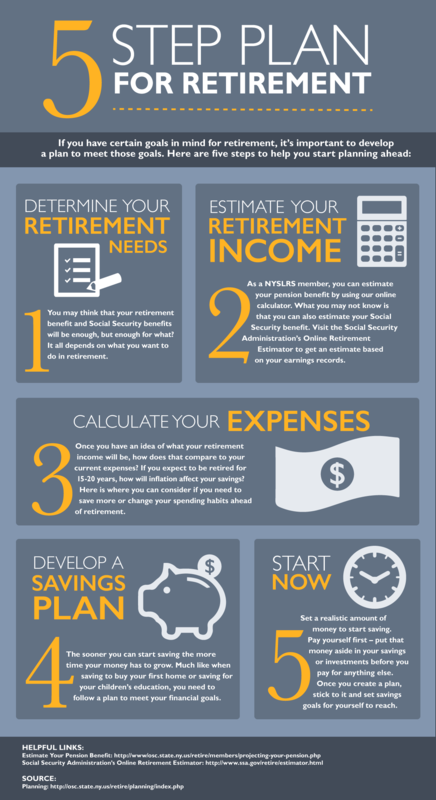 You can learn more about retirement planning and our 5 Step Plan for achieving your financial goals on our website. Content last revised October 19, 2016. This entry was posted in General News, Members and tagged 5-Step Plan, compounding, deferred compensation, defined benefit plan, ERS, expenses, Information is the Key, IRA, know your benefits, National Retirement Security Week, New York State & Local Retirement System, NYSLRS, PFRS, Preparing to Retire, retirement, retirement needs, retirement planning, retirement security, Saving for Retirement, savings plan, three-legged stool on October 19, 2016 by NYSLRS.